High Quality. High Impact. High Speed. Large Capacity Production Unit. Our 46,000sq ft production base means we have the space to undertake larger projects as well as shorter runs. Our flexible working practices mean we can add the necessary resources and staff required for fast turnaround without loss of quality. Unbeatable Capability. 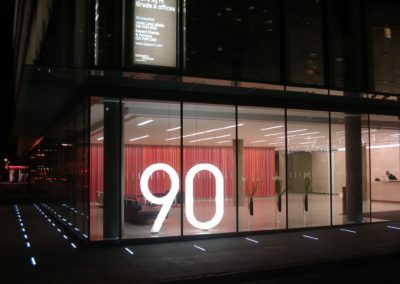 Experienced staff and the very latest technology mean we have the capability to complete a wide range of large format projects, across a variety of materials and substrates. We continually invest in leading edge technology to achieve improved workflow, faster completion and improved quality. 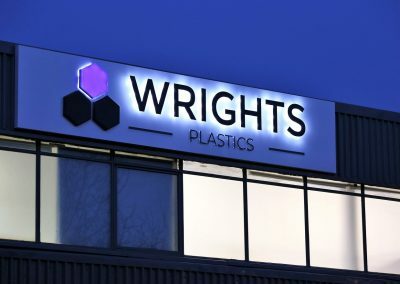 Wrights Plastics provide a wide range of added-value services designed to reduce stress and ensure a seamless project from estimate to delivery. Our design team and CAD specialists can turn an idea into a workable concept. 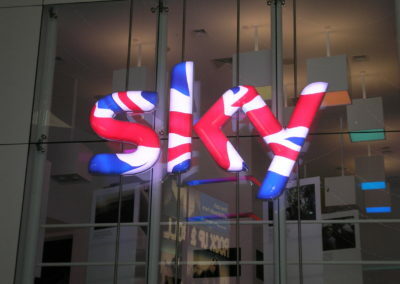 Once completed, we can arrange distribution – from one-off delivery to nationwide roll-out for you or your client. Project managers oversee the whole less-stress process – from clear costings to final dispatch. Working for environmental champions such as Marks & Spencer has meant exceeding their rigorous environmental and supply chain requirements. They have inspired us to set ambitious targets to reduce waste, increase recycling and improve energy efficiency. Further details can be found at here.